Signs World Wide is located in Austin, right in the heart of Texas! With over 20 years of sign manufacturing experience, we are set up to provide quality signs and quality customer service. 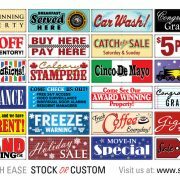 With hundreds of stock signs to choose from and the ability to custom manufacture others; Signs World Wide is ready to answer your sign needs. Using a variety of sign manufacturing equipment such as vinyl plotters, roll to roll printers and flatbed printers, Signs World Wide is able to produce inexpensive signs with a quick turn-around. 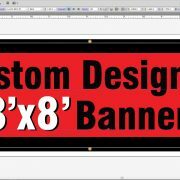 We specialize in printing banners, coroplast yard signs, aluminum yard signs, safety signs and decals. 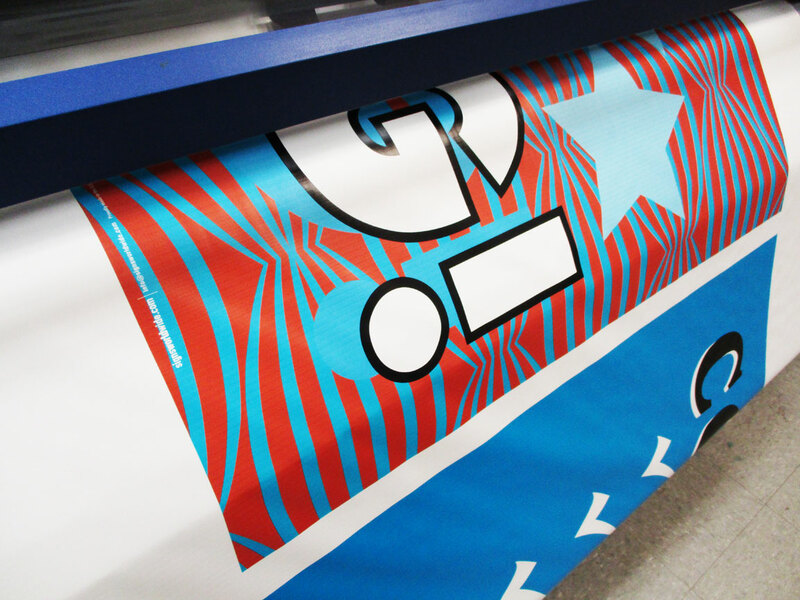 We also have the ability to print on poster paper or canvas material should that be your need. We offer pre-designed signs for convenient click and order signs along with the ability to customize to your preferences by one of our experienced sign designers. Depending on the quantity, our custom signs are usually printed the same day if the order is received by 3 PM Central time and ship the following day. 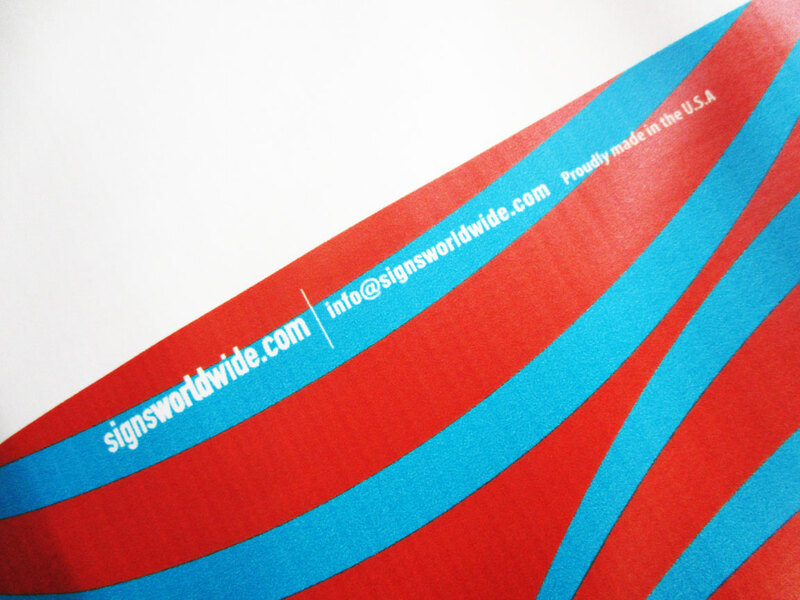 If you are looking for American sign products manufactured in the USA, Signs World Wide is your company. If there are any issues with your order, you will speak to an American representative in our Austin Texas location that will help find a resolution. 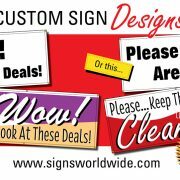 It is our job to make sure your sign advertising needs are met to your satisfaction. We appreciate your business and your time. 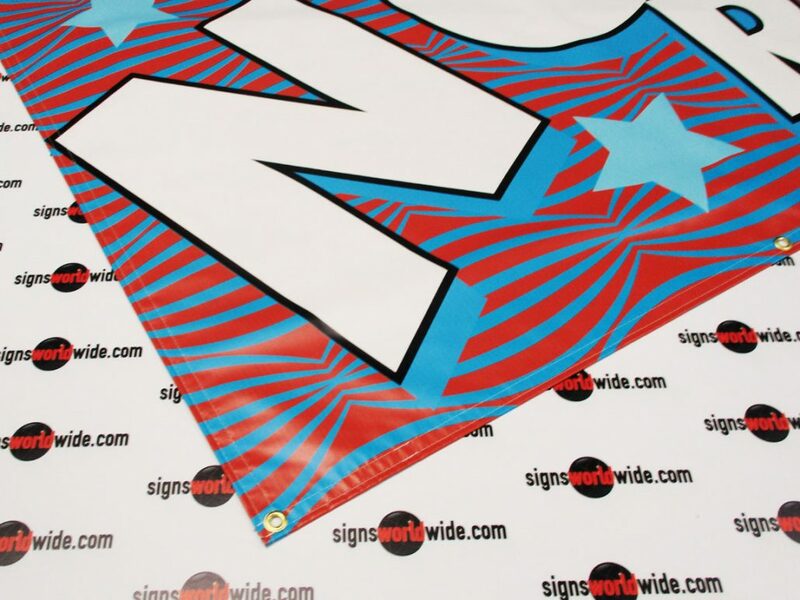 All of our banners and sign products are proudly manufactured in Austin Texas, USA.